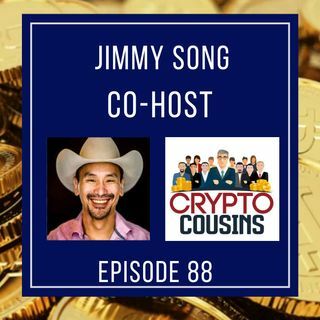 On today's show my co-host is Jimmy Song . Jimmy is a Bitcoin Developer and just wrote Programming Bitcoin. Join us as we talk about the Lightning Network and more. Take a look at a REAL Bitcoin Conference coming to Dallas, Texas at https://BitBlockBoom.com.